Advanced Bosch Anti-lock Braking System (ABS) with Hydraulic single disk brake at front and rear ensures greater safety and better control. A 282 mm disc brake with 2 pot caliper at front and 220 mm disc brake with single pot caliper at rear help to deliver precise stopping power. 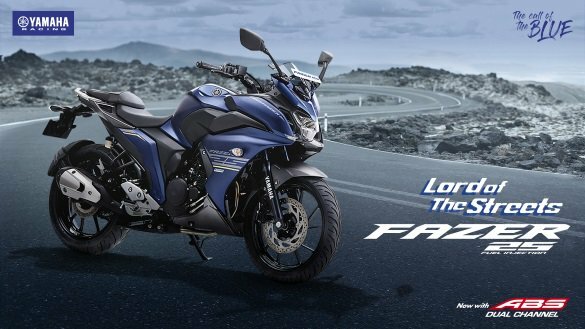 Tyres that are hungry for asphalt, power that craves for distances, muscles that love to fight, and agility that is always ready to embrace the surprises planned by the zig zag roads, that’s Fazer 25. 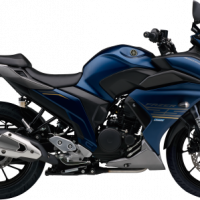 Offering perfect balance between YAMAHA’s true blue aggressive super sport bikes and the practical naked roadsters, the all-new 249cc Fazer 25 is the true weekend explorer. 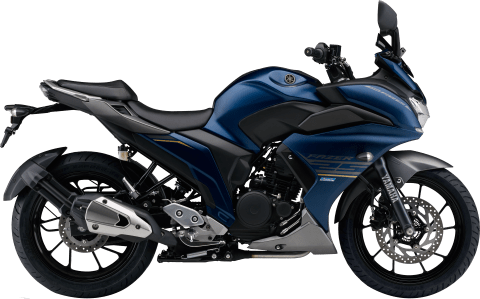 Mounting a 249cc air-cooled 4-stroke, single-cylinder, SOHC, fuel-injected engine, generating an impressive torque of 20 N.m and a power of 20.9 PS, this sports tourer inspires you to cruise ahead. The unique hemispherical combustion chamber, the lightweight forged aluminum piston, plated cylinder and thin piston rings deliver a tourer’s performance with heightened aggression. Fine-tuned and optimized for the Indian highways, it keeps your mind calm while your heart is racing. When you have a powerful engine under your seat and strong winds opposing, that’s when the aerodynamics of your machine are put to test. Its beautifully contoured and color-coordinated aerodynamic cowling takes the style a notch higher while keeping the blasting winds at bay. Touring means exploring, exploring new terrains, new turns and many more surprises that the topsy-turvy roads have to offer. And today, when even the highways are bustling, the requirement of a good horn can’t be ignored. 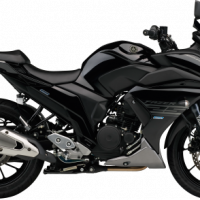 The Fazer 25 has got that covered too. With new split horns delivering higher decibels and lower decibels (Dual Tone), here’s a tourer that truly sounds like one. Who said touring is a day thing? Now take on the night with confidence. The Fazer 25 has got eyes that pierce the dark, so you don’t have to look at the clock before heading out. Its dual auxiliary LEDs are supported by bright, energy-efficient LED headlamps and an LED tail. 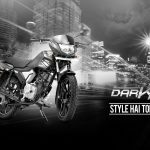 This means, your tourer is ready to take on the roughs at any hour. Probably that’s why the weekend begins at midnight. Keep calm and ride on! 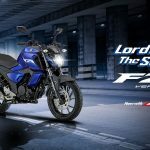 That’s the Fazer 25 mantra. 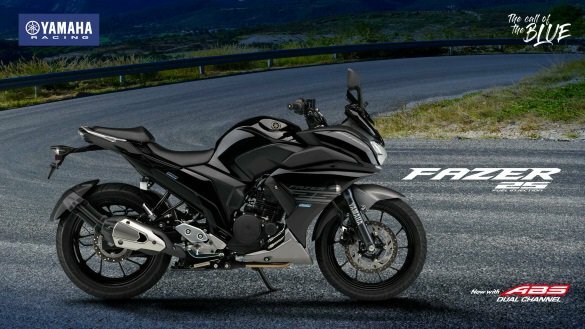 Essential for long rides, the Oil Cooling feature in Fazer 25 keeps you free from the worry of engine overheating. So take on the heat with a cool attitude and ride through climates with a smile on your face. Happy touring! The lightweight link-less monocross suspension offers 120mm of wheel travel, so your tyres hold their ground even on rough terrains. Muscular at the front, it adopts 41mm inner tubes and 130mm of stroke travel to provide an excellent shock-absorbing performance and a good feeling of stability during braking. So, no matter what route you take this weekend, tour with confidence. Be more aware of your surroundings with the wide rear view mirrors. They give good visibility of traffic so that you can avoid any nasty surprise and look stylish at the same time. “Stop less, tour more” says Fazer 25. 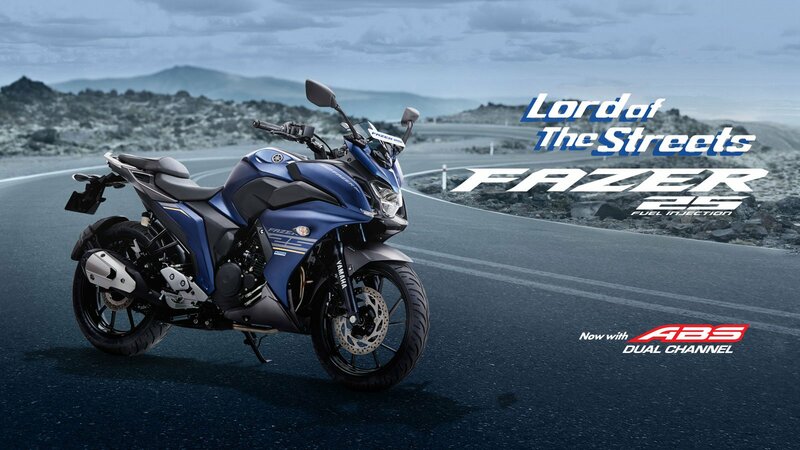 A 14Liters fuel tank, backed by YAMAHA’s Blue Core Fuel Injection technology, makes Fazer 25 hungry for miles. So enjoy your weekend ride without thinking about a pit stop. Touring shouldn’t be tiring. 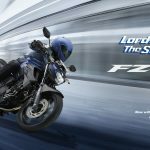 That’s the spirit the all new Fazer 25 has been designed with. To begin with, it adopts wider split seat with slip-resistant cover material and a generous amount of cushioning. So both the rider and the tandem passenger enjoy an effortless long ride. So gear up and every weekend can be a vacation.